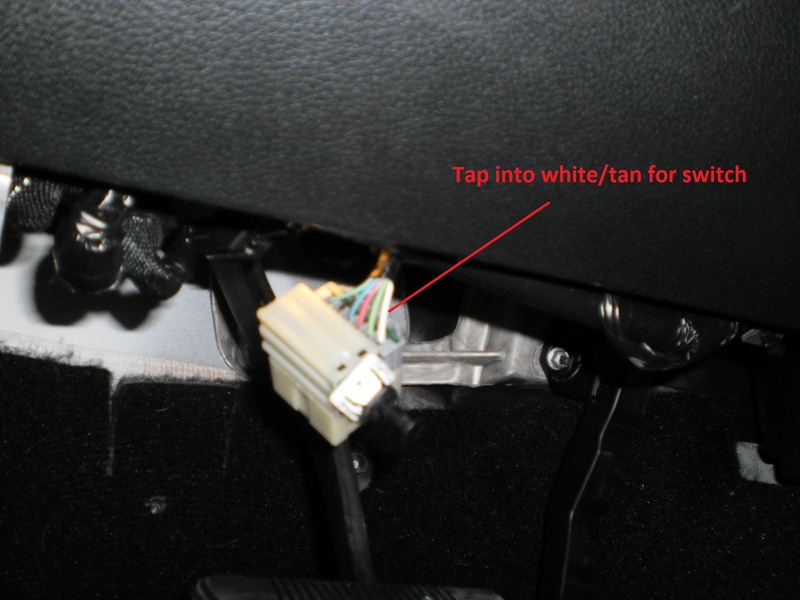 Under the dash, we tapped into brake light switch. 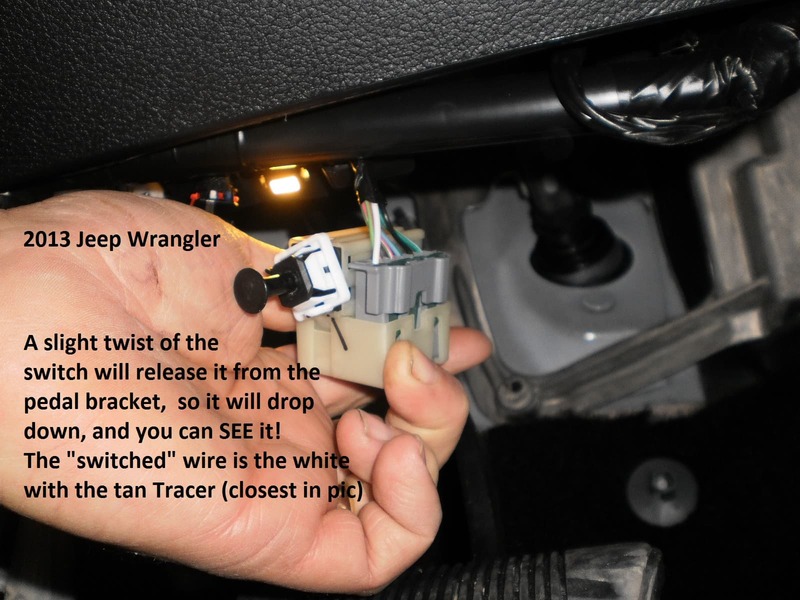 We found the white wire with tan tracer came on when we pressed the brake pedal. 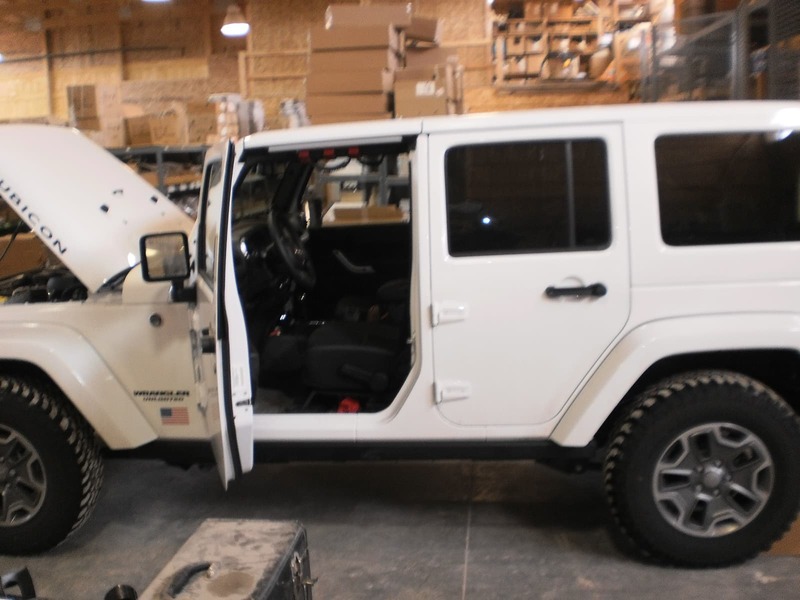 Also, with a simple twist of the brake switch, it comes loose from the mount and will drop down, making it much easier to reach! Not, shown, but, We found a easy spot on a metal bracket and grounded the ground wire under the dash with a sheet metal screw. 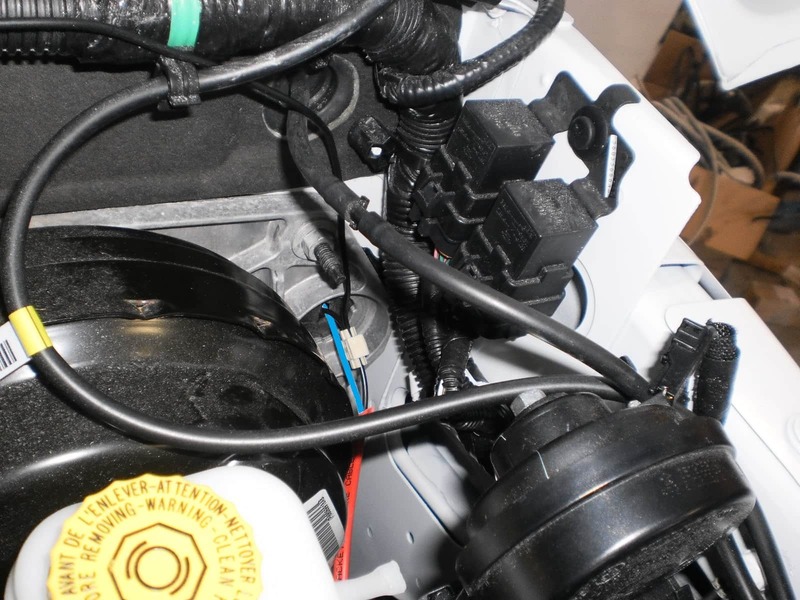 Black wire in picture comes from battery (Passenger side) and runs to rear of truck, but we tapped into it with a side tap connector, to run power into the cabin to power the controller. 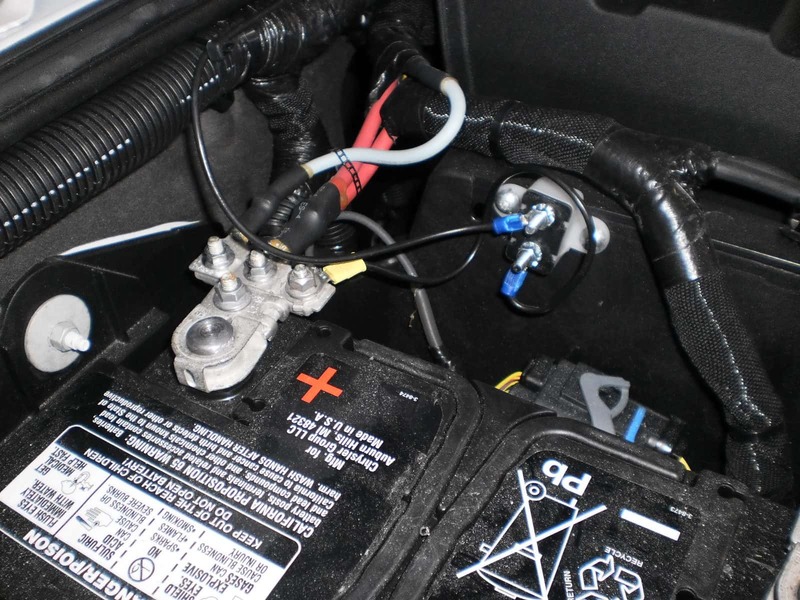 Under the hood, we installed a circuit breaker, to power the controller (running the power into the cabin, though the firewall grommet), connecting to the 10mm nut on the main power stud on the battery The brake feed from the controller is the blue Blue wire, We use "double jacket wire" and use the black wire as 12 volt power supply to the rear 7way plug as well as power the controller.